Yaoundé decided to put the Nigerian ambassador Lawan Abba Gashagar under pressure. To be sure, the Nigerian High Commissioner to Cameroon was either responding to questions coming from the Minister-Secretary General at the Presidency or meeting the Minister for External Relations over the activities of the Interim Government in Nigeria. Etoudi at some point requested that the Nigerian Immigration Service, NIS, should arrest and repatriate President Ayuk Tabe from Nigeria to Cameroon to stand trial. In a correspondence to President Buhari via Minister Rene Sadi, President Biya politely accused the Buhari administration of aiding the Interim Government of the Federal Republic of Amabzonia. 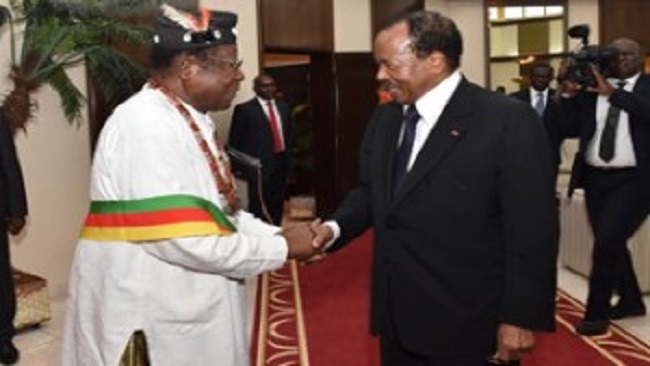 Biya maintained that a Nigerian interest group was assisting the Ambazonian leader to travel out of the country to Europe and America extensively. President Buhari sent a letter to Biya stating that the Federal Republic of Nigeria has no intention of supporting Southern Cameroonians. The Nigerian ambassador handed over the Buhari letter and issued a statement to that effect in Yaoundé. 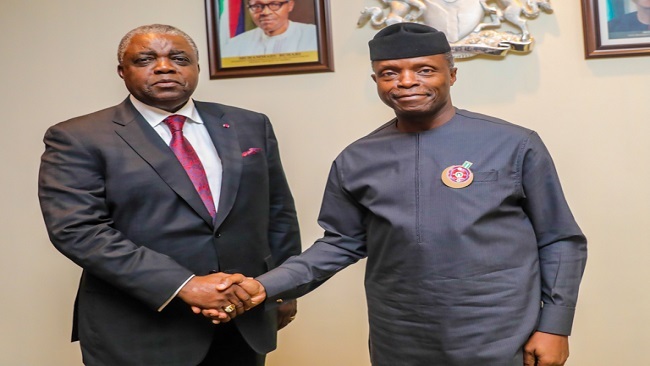 Yaoundé has never trusted Abuja and so it secretly staged a military operation deep inside Nigerian territory that attracted wide condemnation from the outspoken governor of the Cross River State of Nigeria. The Biya regime denied the cross border raids and stepped up the pressure on Ambassador Lawan Abba. The Mvomeka’a meeting had an inner caucus that resolved to assassinate President Ayuk Tabe including at least four Ambazonia cabinet ministers. Anglophone Secret Service officers were dispatched to join the thousands of Ambazonian refugees in Nigeria and 10 of them who are originally from the Manyu County deceived the Interim Government that they had actually defected from the Cameroon army. President Ayuk Tabe gave standing instructions that the 10 so-called former soldiers of La Republique be properly auditioned before any integration into the secretariat for defense. This instruction was never followed. 4 among the ten knew that if Sisiku Ayuk Tabe was eliminated, a Manyu son will be appointed Prime Minister and Head of Government. Little did they know that from the very first day they introduced themselves as soldiers who had defected, the Nigerian Secret Service kept them under severe surveillance. The 4 moved to other parts of Nigeria and had access to intelligence information on the activities of the Interim Government. They could afford 4 and 5 star hotels in Lagos and Abuja and had planned to kill the Interim President and members of the Governing Council in Abuja. The 4 reportedly entered Abuja and disappeared from the Nigerian security radar. Our sources in Nigeria say, the Nigerian Secret Service, the DSS were in that area where the Nera Hotels is located but were not on their normal ongoing show of force. Immediately Sisiku Ayuk Tabe and his top aides entered the hotel, the DSS drove in and staged the arrest. Further efforts to establish contact with the Ambazonia leaders have remained unsuccessful. As it stands now, we can confirm that the leadership of the Federal Republic of Ambazonia is in protective custody. The DSS Buhari-led operation was principally targeted at securing the president and his cabinet. The arrest is yielding the desired result to the liberation struggle as it has attracted the US, the French and the British governments. 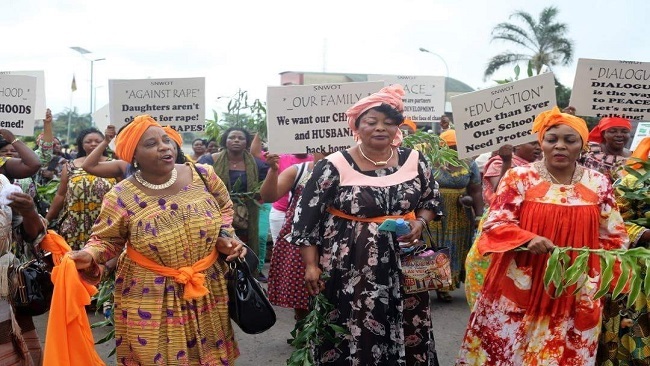 The Nigerian DSS has launched a manhunt for the 4 Cameroon government security agents. The world now knows that the Biya administration has practically abandoned its call for dialogue with Southern Cameroonians in search of a brute route to eliminate the Ambazonian leader. The situation is very tense at the moment in Southern Cameroons as death threats are being issued to Nigerian citizens. None of the so-called Anglophone political elites have demanded the withdrawal of troops from the territory as their presence is raising the level of tension that already exists in the country.